Katelyn and Darius are a fun couple. 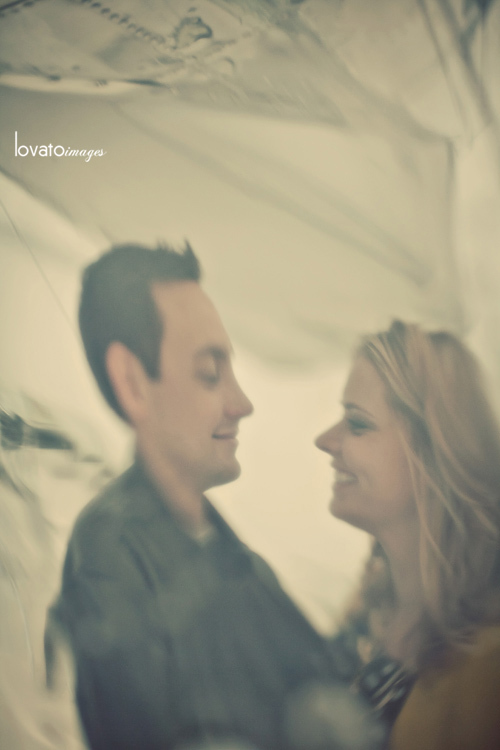 They like to laugh loud, they like to let go, they like to roll their eyes when the other is being silly. They’ve got a good routine together, working hard then hurrying home to be together and then making sure to take time off to play on the weekends. Darius is a pilot, a point I had forgotten, so when I asked them if they like to travel, I was excited to hear yes! ‘especially weekend trips in CA!’ which they fly to privately, of course. Sometimes Darius flies Katelyn somewhere just for breakfast, just because he can. 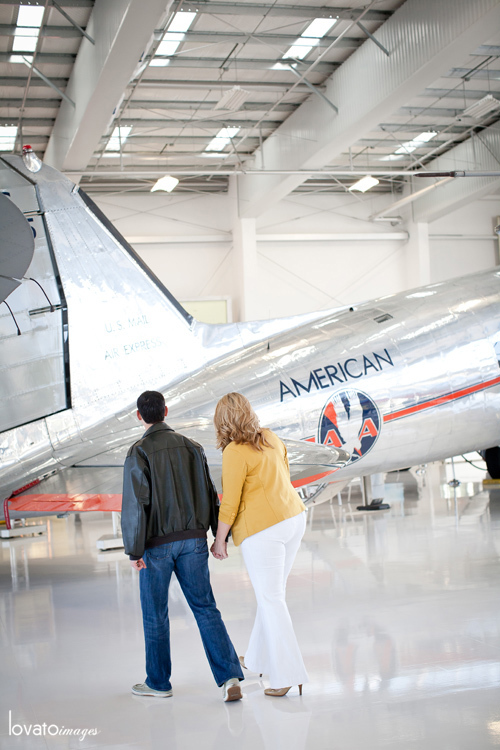 So we decided to start at the Lyon Air Museum in Irvine to get some flight fun incorporated in their engagement session. Darius [and I] totally geeked out on all the WWII stuff and the three of us probably spent a little more time talking to a POW vet than we should have, seeing as we were racing to beat the sunset. It was a great place to start though and I love how Darius chatted with Katelyn about someday buying this plane or that, dreaming big for the future with his lady by his side. We ended in San Juan Capistrano as the last slivers of sun light kissed Katelyn’s hair and Darius held her close. The pair met in college and spent one rememberable (totally a word) evening early on listening to DMB together in her dorm. So we wrapped the sesh with Darius doing a little DMB jam sesh for her as the fading light of day mixed with the first lights of night. A beautiful place to find yourself watching a young couple in love.